It's okay to get delivery! Ahhhh, Yasuda. 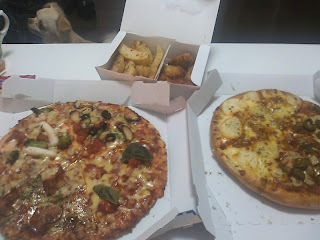 After seeing Japanese cuisine meal after meal on Tsuji's blog, I was beginning to think that's all they ate!